You may be familiar with all social media platforms that are making earth smaller and smaller each second. Social media has made the life of humans very easy and this virtual world is continuously making us come closer. Business owners specially are very happy with the introduction of this virtual world. Why? Well, because they have got an exciting platform, where millions of users come and interact with each other. Getting a humongous base as what social media platforms possesses, business owners sees this as a vast ocean, where there is plenty of fish for everyone. What concerns the marketers is how they use this vast ocean to fulfill their objectives. For all the people doing end-to-end sales and marketing funnel, conversions and social media cannot be far away terms. So now let’s take a ride on this exciting journey of conversions using the social media platforms. In case you are thinking why you need to have any kind of proof, here is an eye opener. Users appreciate seeing any online website having a social proof. Social proof means there are loyal customers who are sharing their reviews about your brand. 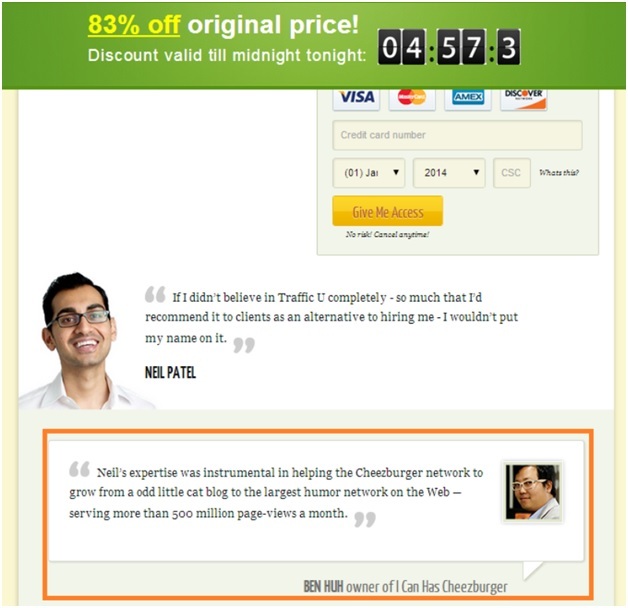 Below is the testimonial on the landing page of authentic and famous technical & marketing blogger, Neil Patel. This kind of testimonials or social proof provides you an extremely important trusted stamp, which any unique visitor will applaud as soon as he/she sees it. Reviews from customer’s social media accounts shows much more trust and reliability that unique visitors can have on your business. To ensure this, you should have a pre-filling sharing option on your e-commerce websites, so that users can share their purchase on the social media platforms. You can always render exciting discount or an incentive for the customer post purchase, if the purchase is shared on his/her social media account. In case there are positive comments from customers on any social media platforms, it is advisable for the brands to display it on their e-commerce site. Also, make sure to keep sharing your website’s content on every other social media platforms. 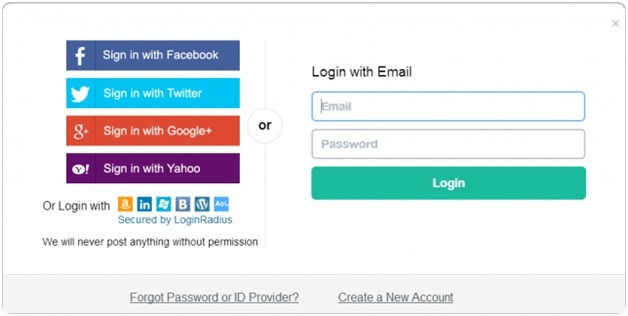 A social login always provides your website an ultimate stamp of security and trustworthy as there is no need for creating a separate account. Only thing a user has to do is to login using their social media accounts and they are good to go! Using social logins, brand owners provide their users the ease to not fill long and tedious forms for signing up. This will render the users with convenience to sign up quickly and will provide your website with an ultimate trusted stamp. It will simply reduce the bounce rate and hence increase the average time on site. More and more e-commerce sites are complaining about abandoned carts from the users. Let me explain what abandoned cart is and what all the fuss is. Suppose you wanted to buy a new pair of headphones and you visit an e-commerce site for the same. While browsing through the site, you choose one product; you head for the payment part and see that there is a long tedious form having more than 10 fields to fill. What you do? You leave your shopping cart and get back to some other websites. This is ‘the’ most common practice that leads to abandonment of the cart. Social media login also renders the businesses with necessary client data points, which provide them with more opportunity to target their market campaign in a much effective manner. More than 80% of the digital campaign budgets are spent on attracting new patrons. To acquire a new customer-pool, you need to make customers aware. Using paid advertising, earned media, social media, and search engines, online awareness can effectively spread among the target audience. Owing to the fact that YouTube is the second largest social media platform & search engine, this amazing platform can be utilized effectively to reach more customers and to create online awareness. 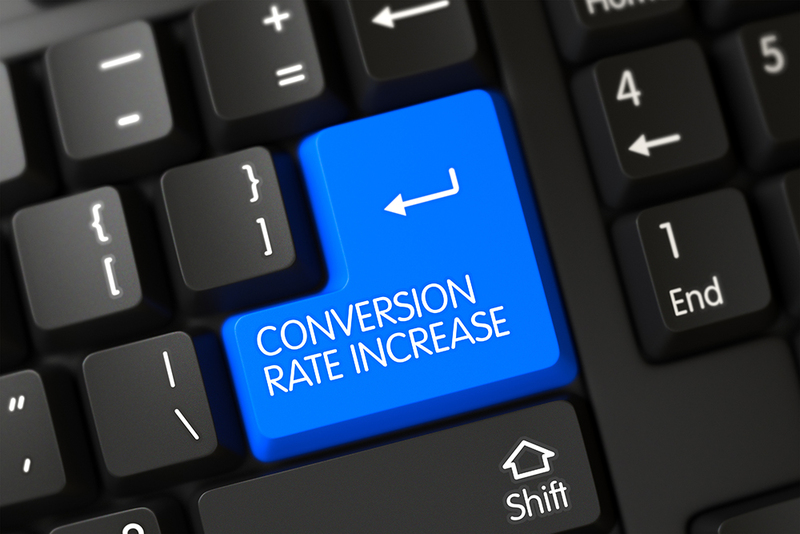 Majority of marketers are yet to use this high potential platform, using which they can get more people on their landing page; hence leading to much better conversion rate. To start any business, you need to choose the social media platform for the promotional purpose. Seeing how many social media sites are available in the market right now, you can easily get confused. So let me clear the air for you. Facebook is the leading social media platform amongst all. Yet, only 17% of the Facebook user gets inspired from the platform to buy or deciding what to buy. On the other hand, with more than 100 million active users onboard, Pinterest, is the most hot social media stage right now. Around 70% of the users on Pinterest said to get inspired on what to buy from the platform itself. That surely is huge number! Another interesting fact about Pinterest is that it is an interest based platform and more users are pouring in everyday, making it ideal for businesses to hop on. Businesses are now slowly getting to understand the power of visual marketing, which can be used to swiftly increase the conversion rate. It is equally important for the businesses to keep sharing their own content. By the term ‘own content’, I mean the content on your website. Content can be developed & shared by number of ways such as, shooting videos, taking pictures, and, writing blogs. Make sure to link each of the above mentioned content with your own website or landing page by including a backlink. Making the target audience exposed to these sorts of content implies that they are just one click away from you. 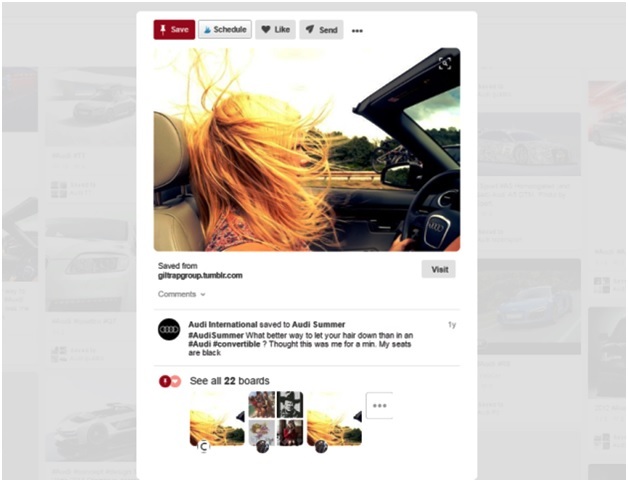 In the picture above, you can see that Audi, one of the most aspiring automobile companies has left no stone unturned while creating and sharing their own content. The real answer to “what is the social media ROI” is still being asked. The means & ways of discovering social media ROI are yet to be found. As a wise brand owner, you must start using social media platforms so as to optimize your website’s conversion rate effectively. Hopefully, I will see more of you guys sharing your own success stories of how social media has boasted your business growth. Till that time, it is Shashvat vats….signing off!